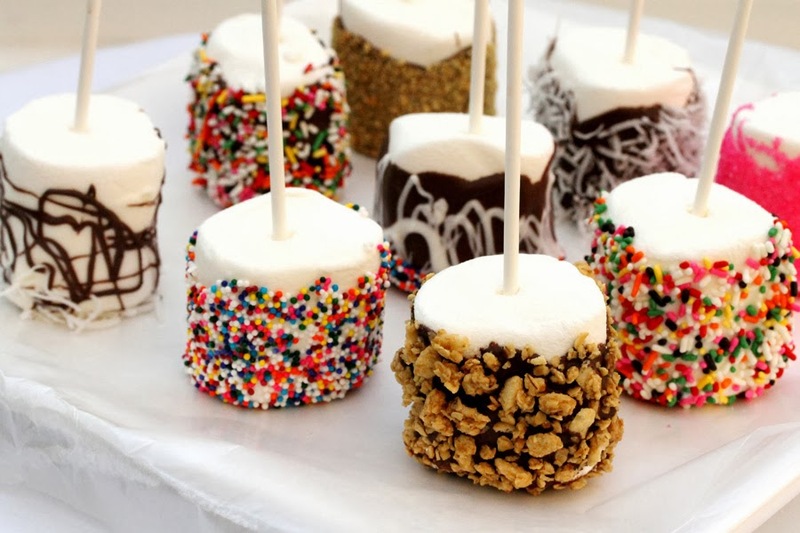 I love these DIY marshmallow pops from Coupon Clipping Cook for a Super Bowl Party. The topping combinations are endless and you can be as creative as you'd like. Click here for DIY instructions on how to make them. They're a great way to get the kids involved as well! Gourmet marshmallows are another option and Plush Puffs Gourmet Marshmallows offers amazing flavors in their online store. Caramel Swirl, Chocolate Chipetta, Gingerbread Spice, Lemony Meringue, Mochachino, Simply S'mores and Toasty Coconut are just a few. And, they look beautiful on the dessert tray below!